Hotel Landmark is located on the Mall Road, adjacent to the famous Gorton Castle. 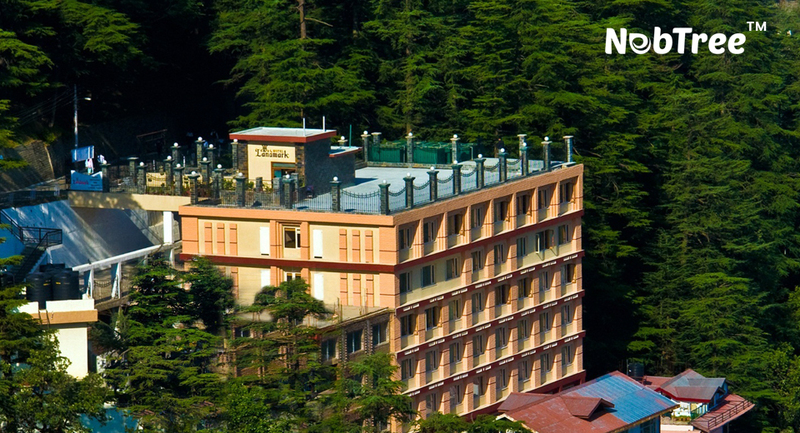 Offering many majestic rooms well equipped with all modern comforts and facilities you need, whether you are exploring Shimla as a tourist or visiting the city on business. As Hotel Landmark is an exquisite integration of luxury, technology, comfort and nature’s sublime design but still after lot of investments on WiFi setup they are facing many problems with their existing Internet network and thus it affects business & customer reviews. Even high speed 20 MBPS BSNL fibre was not able to make guest satisfied with Internet. Wifi range was not adequate. Sometimes hotel WiFi network within the property is not accessible, that was a big hassle for guests and hotel staff. Hotel staff was not able to delete unwanted users those were connected once. They were using one cloud based solution even that was not able to make any difference and they will only came up with a temporary solution. Management of WiFi network was a struggle, if they have to make any changes in network settings that is a inconvenient task. Guests staying in the hotel has to suffer for poor Internet connectivity when the Bandwidth is adequate. Also business guests gave poor ratings on website like GOIBIBO, Tripadvisor, makemytrip etc & thus effecting business and reputation. To make sure the connectivity of the Wifi within the property is accessible for all, we suggested them to replace their access points and re-position them. Unmanged Bandwidth usage by users used to bring down the level of services. They need a solution that they can manage from their existing Property Management System (PMS). After Replacement and Re-positioning of Access Points the Wifi Network availability is appropriate and everyone in the hotel is now able to connect more efficiently across the premises. Due to Planned Bandwidth Distribution, User Creation & Expiry Policies, hotel IT staff is now able to restrict unwanted wifi users. API integration was implemented with their existing Property Management System for making their Internet amenity more flexible. Logs were maintained for compliance purpose. Ensures full property Internet Connectivity & availability. Due to suggested replacement of access points, now guests can now enjoy WiFi connectivity throughout the property. 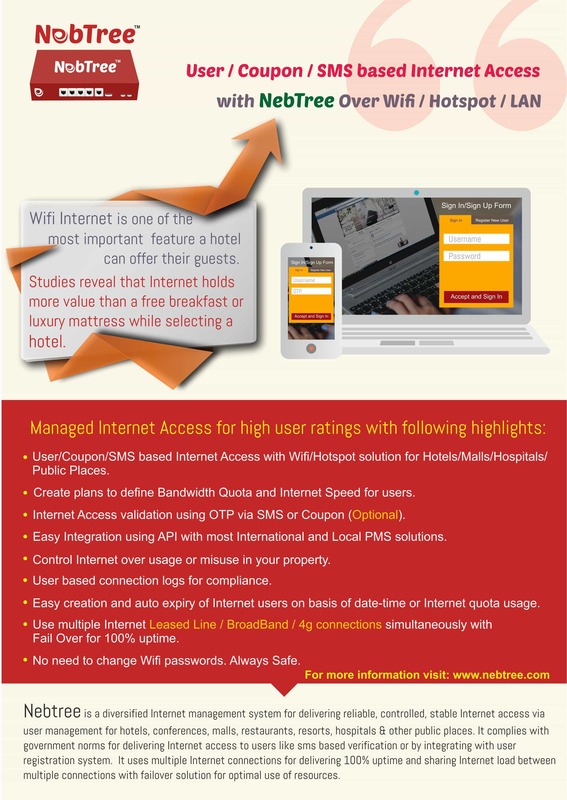 Registration to use the managed Wi-Fi is now straightforward & more efficient with API integration and Hotel Landmark had reported increased customer and staff satisfaction as a result of the new Wi-Fi management system. NebTree enables the hotel to now offer a truly best WiFi experience thus Landmark Hotel will continue to leverage its amenities with the latest technologies and meet ever evolving customer needs and guest expectations.